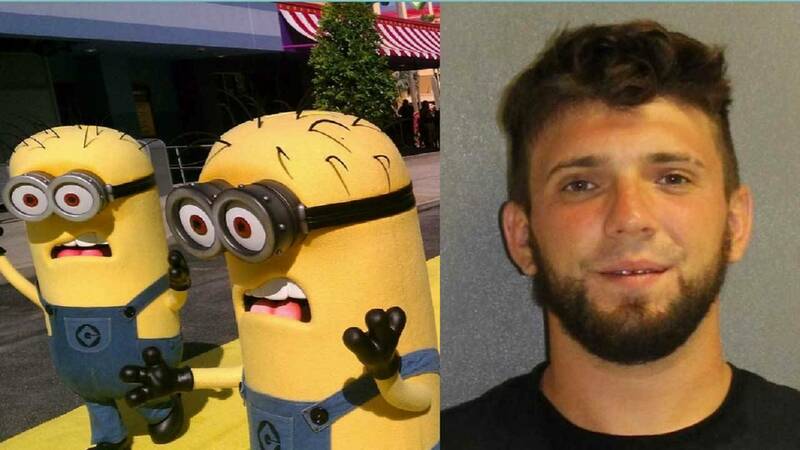 DAYTONA BEACH, Fla. - A Florida man has been sentenced to 10 days in jail for attacking another man who was dressed as one of the short yellow characters from the "Minions" film. Police said Nihart knocked over and kicked Jamie Roehm on Daytona Beach's boardwalk. Roehm was dressed as one of the "Minions" characters - who are also in the "Despicable Me" films - to promote a local business.